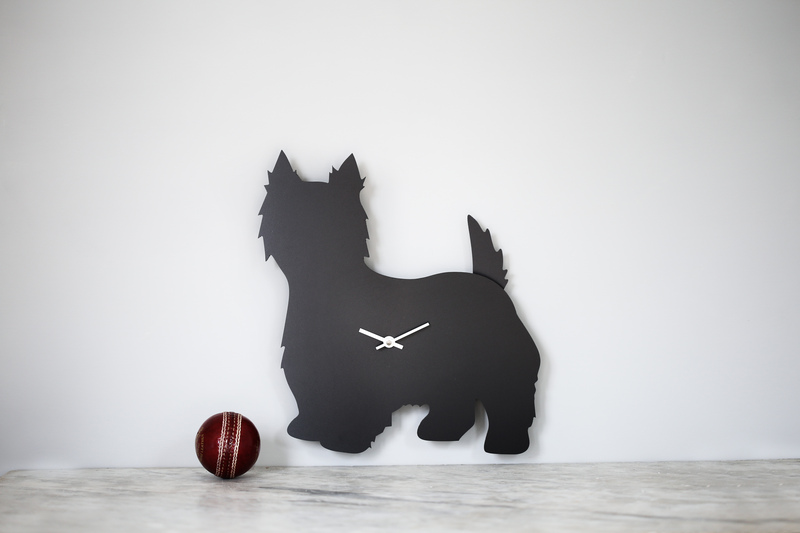 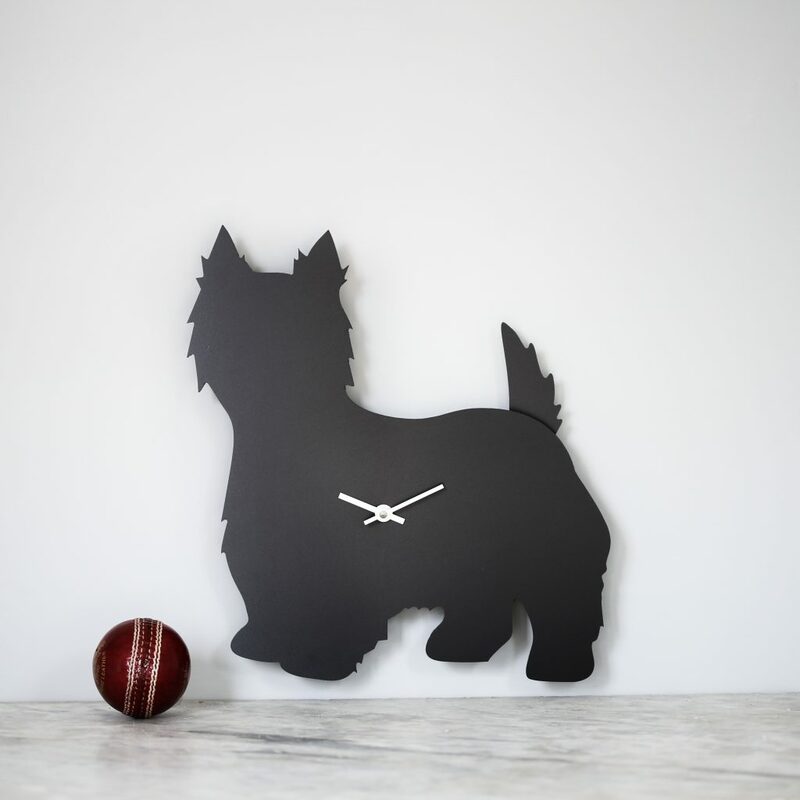 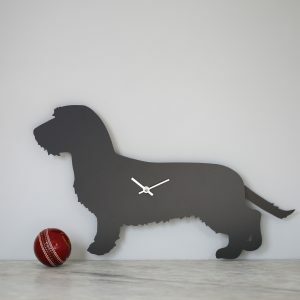 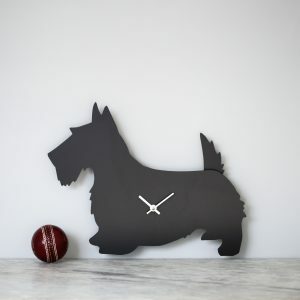 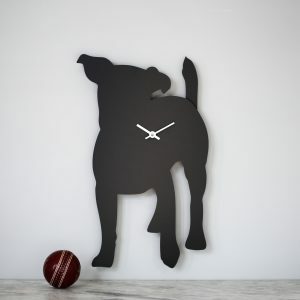 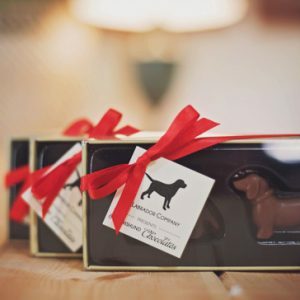 West Highland Terrier Clock - The Labrador Co.
A West Highland Terrier clock with tail that wags on the second. 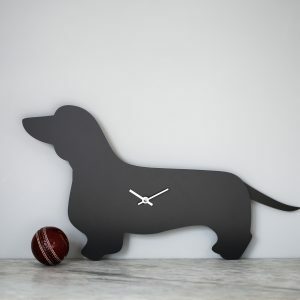 It is made of foamalux with nickel hands. 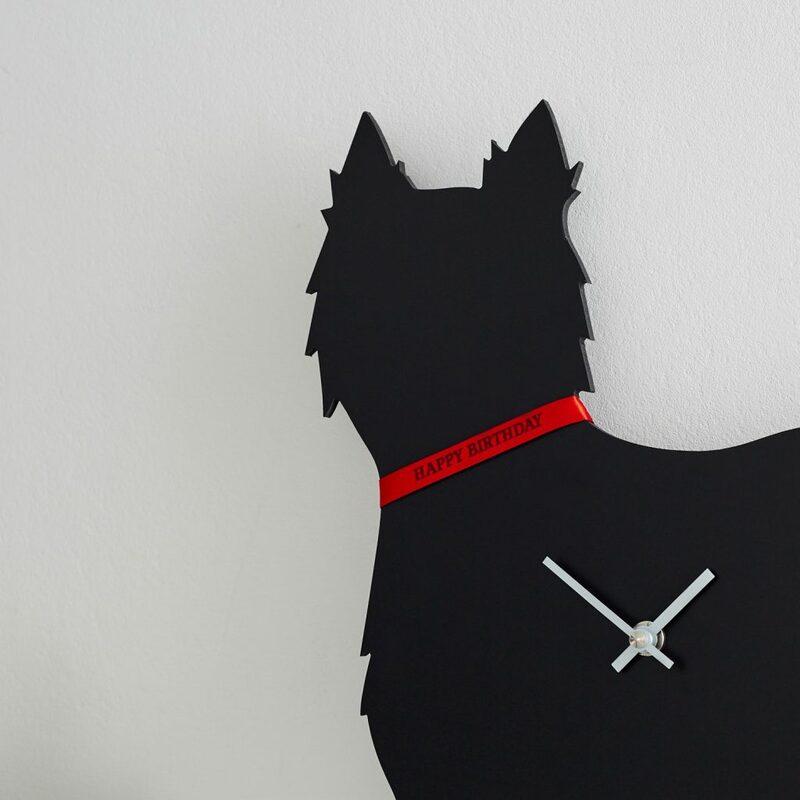 Comes complete with battery. 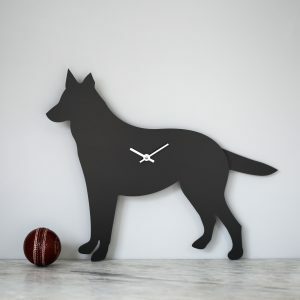 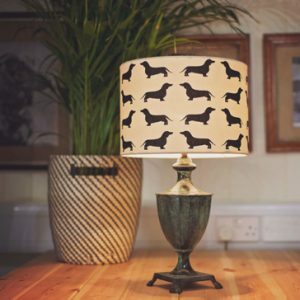 33cm x 30cm.